The knowledge, when delivered in a structured way using a Learning management system (LMS), can help every organization align audience to its business goals. Moodle, an open source LMS is being used by thousands of organizations of all types across the globe to deliver knowledge to its relevant audience. 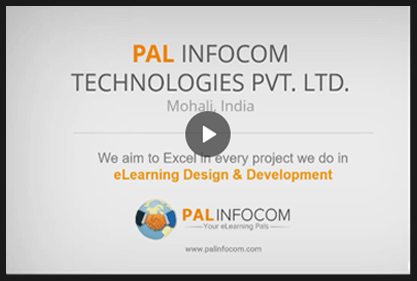 At PAL, we are passionate about creating eLearning solutions to make people better learn. Not only we help design & develop eLMS specific to your business but given our past experience of delivering large number of eLearning solutions we also try to add value by providing consultation on the new possibilities. Eagerly looking forward to serve your organization. Localize the LMS to your audience language. Host your LMS Cloud based cost effectively. Moodle has become an established eLearning solution over a period of time and has gained an acceptance of wide range of business and educational organizations. Let's build a complete custom LMS solution from ground up.